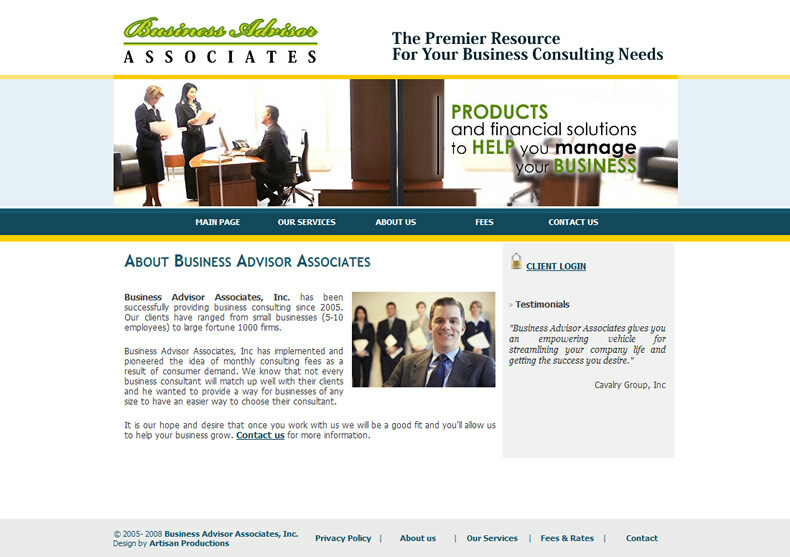 Task:Create corporate website for a consulting company. 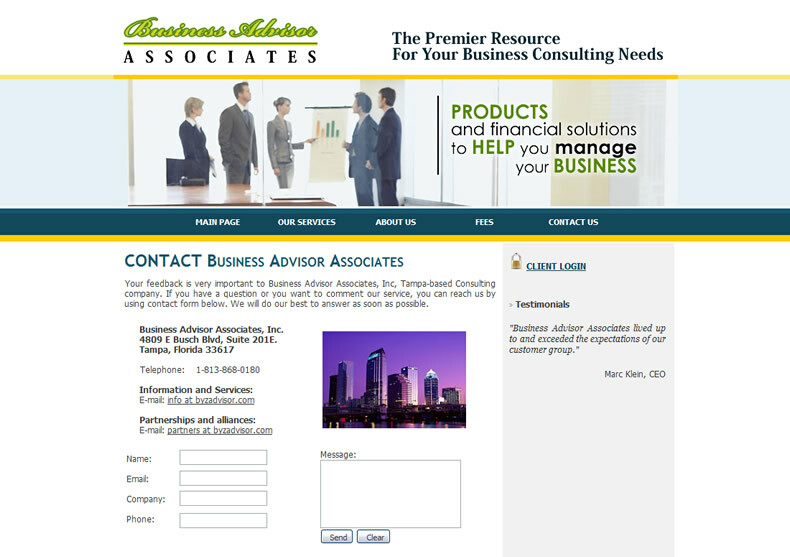 Create a member area for company clients. Macromedia Fireworks, PHP, DHTML, SSI, MySQL, CSS. 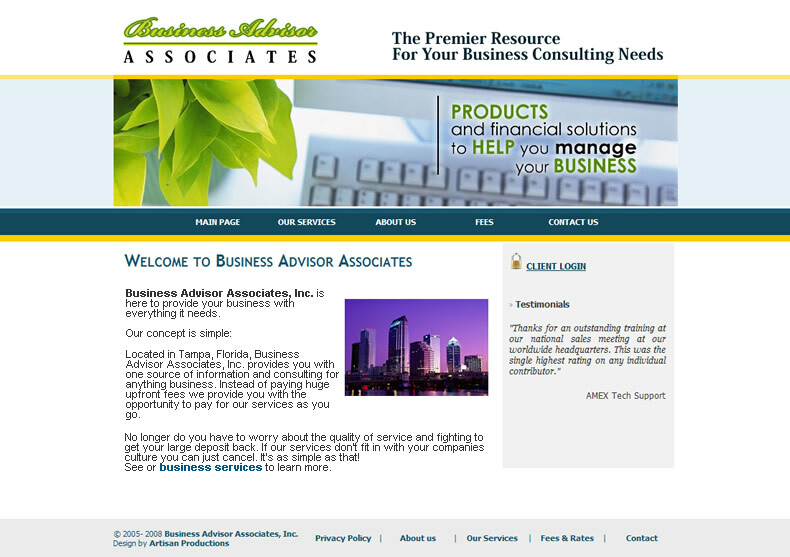 SOLUTION: Artisan Productions reinforced the dynamic content of a business consulting website through the use of business photos and corporate colors. 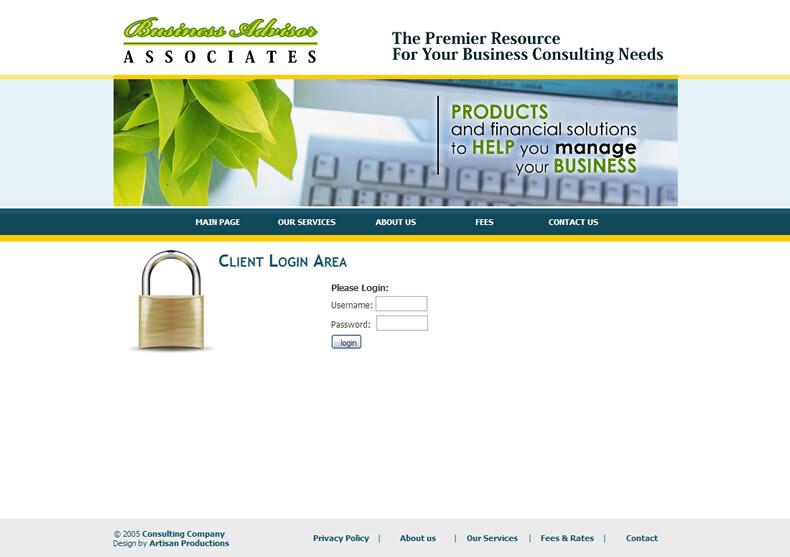 The member area was built with MySQL database and AJAX applications. 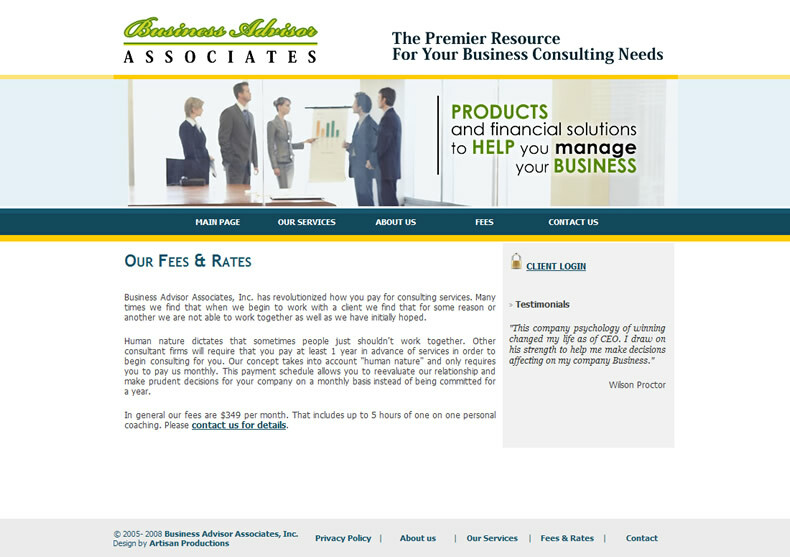 "Entire Artisan Productions team handled our project in a professional way with personal attention in a timely fashion. We're thankful for such a great customer service and most importantly for the many new clients that we are able to serve!"